Where do you find your inspiration? In fashion magazines, art books, on the street... the sources are endless. With KCWC just around the corner, I thought it would be nice to share one of the blogs I think will be my greatest inspiration for this coming week of sewing. 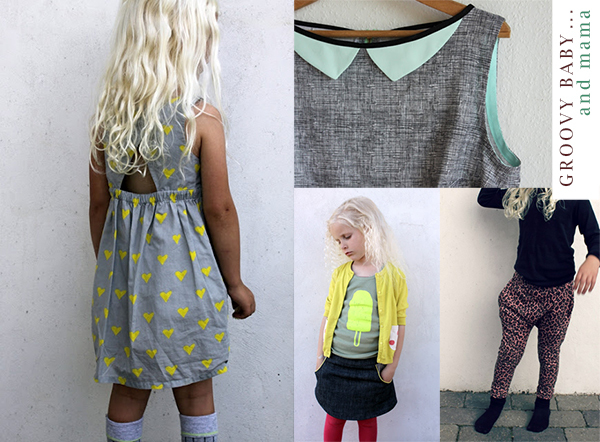 Meet Groovy Baby and Mama, it's a danish blog filled with the funkiest, coolest, trendiest kids clothes, all made by one super talented mama. There's a button on the side of her blog that says "Mom by day, crafter by night", I think that probably describes her well. She has such an eye for spotting good trends and creating clothing with the sweetest details ever. 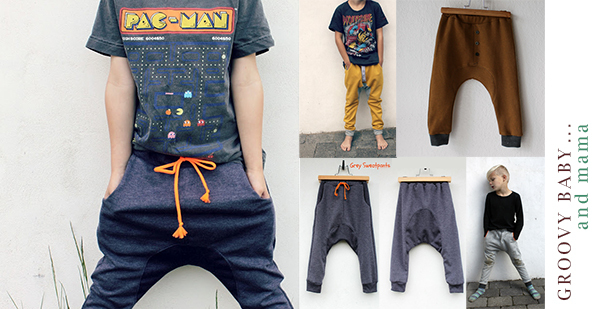 One thing Mister M needs is a cool pair of sweatpant and I think I might try a version of these him. I love the idea of the contrasting insert, the neon cord is sweet and so is the fake button closure. I'm not sur Mister M will have as much swag as this kid, but he'll pull it off I'm sure. How about all the sweet details in these outfits! I say yes to stamping neon hearts on my fabric, I say yes to piping on skirt pockets, I say yes to the cutest peter pan collar ever and why not to funky MC Hammer pants for girls. 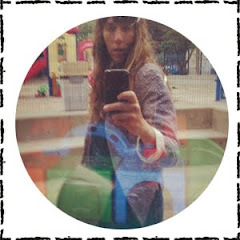 This is just a little example of all the great creations you will find on Groovy Baby and Mama, check it out for yourself you might find some sweet details to get you inspired as well. Looks like a great blog - thanks for sharing the link. But frankly, I'm thinking yours is pretty great too:) Looking forward to seeing more from you!